My rating: 9/10. Excellent watch. Very popular choice. Today I’m doing a Michael Kors MK5491 review. I mentioned before that I’m hoping to add some more women’s watch reviews to the site so to start with I’m focusing on the most popular watches for women. Michael Kors make some really nice looking designer timepieces and this happens to be one of their most popular models. It features a stunning mother of pearl dial that gives it that really nice coloured effect. The dial has 3 chronograph sub-dials and a small yet easy to read date display at the half 4 position. The MK5491 also features 50-metre water resistance which is more than enough for a watch in this style. It’s suitable for swimming, white water rafting, non-snorkeling water related work, and fishing. The PVD rose plating and the stone set bezel and hour markers really make this a stunning stand out piece. With rose gold being one of the most commonly picked watch colours for women and this model having a slightly boyfriend style size to it at 39mm it’s easy to see why it has been such a popular pick for women. Band Stainless steel PVD plating, standard length, 20mm width, push button deployment clasp. Case Stainless steel casing PVD plated, sizing diameter: 39 mm and thickness: 12 mm. Dial Analogue chronograph display. Features a date display. The window lens is made of mineral crystal. Note that this is in an oversized style for a women’s watch at 39mm so it may not be suitable for people who like smaller watches. 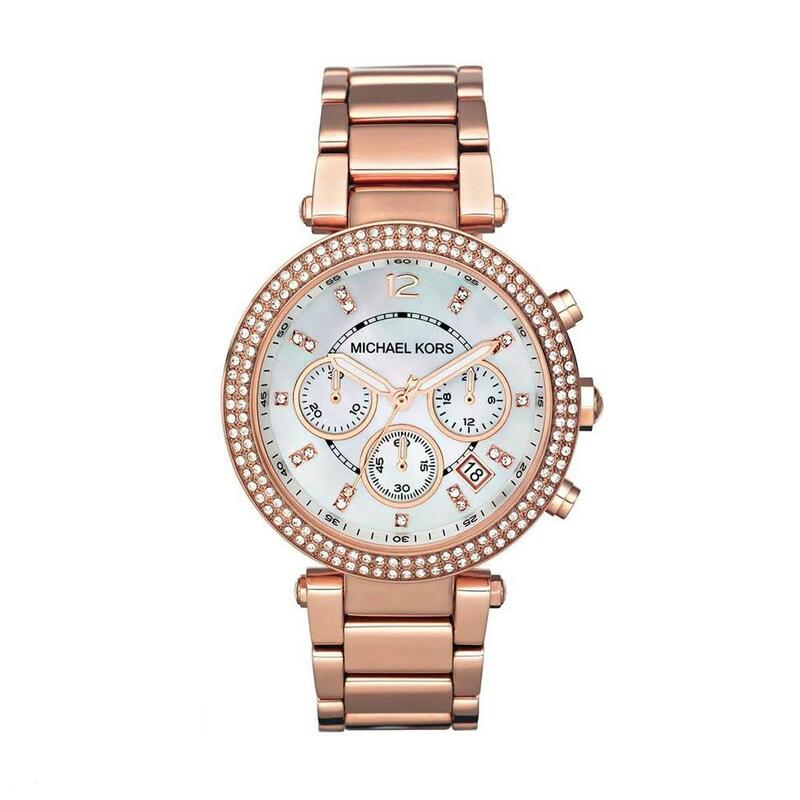 The Michael Kors MK5491 is in such demand primarily due to its popular style and extremely sought after brand. It’s fair to say it is a very nice looking watch, I’ve always liked the look of these mother of pearl dials, they give them such nice colouring. Overall I’d say it’s a very nice watch that is worth checking out. Highly recommended. Hope you enjoyed this Michael Kors MK5491 review. Find more watch reviews below.